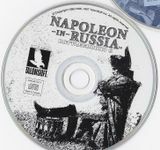 Napoleon In Russia returns the critically acclaimed Battleground Series to the epic majesty of the era of Napoleon and his greatest invasion! After a series of indecisive battles and steady retreating in front of the advancing French, the Russian Tsar Alexander's army, poised on the outskirts of Moscow itself, turned and faced Napoleon for one final deperate battle. Napoleon In Russia re-creates this mammoth battle in the style and splendor as only Talonsoft can deliver. History comes alive as Marshal Kutuzov's Russian infantry doggedly defends the road to Moscow from onslaught after onslaught of Napoleon's massive Grande Armee! Cossacks abound amidst this momentous struggle, dubbed the Battle of Borodino, and featured in Tolstoy's Russian Film epic, War and Peace. This page does not exist. You can edit this page to create it. Use this tool to rate games, save comments, and manage your collection.